Design a message to a wedding couple, bride, anniversary couple, wife... Whether you write a poem or just want to put down your thoughts in a gift, this will become a lasting keepsake. 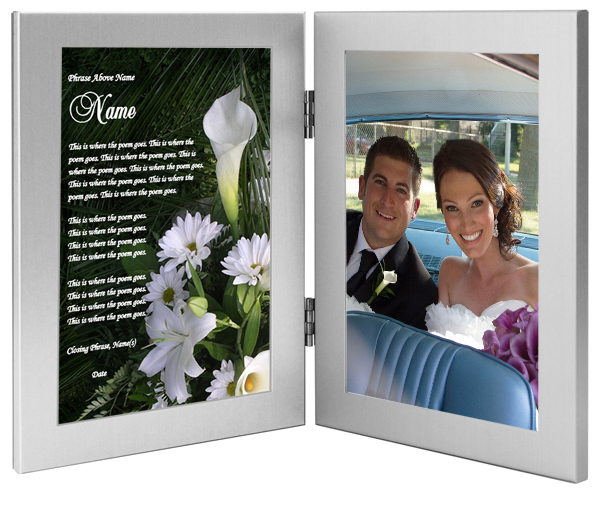 This calla lily and daisy design makes a wonderful background for your poem or words to the wedding couple, bridesmaid, maid of honor, flower girl, anniversary couple, wife or girlfriend. 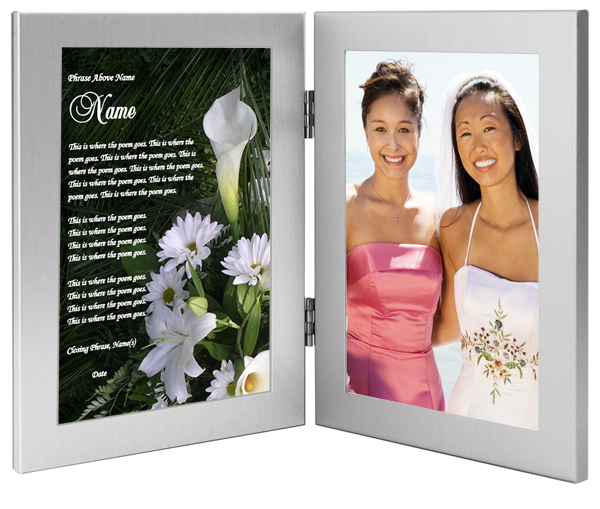 Is appropriate for an anniversary, birthday, wedding and is easily personalized with names and date. Please see the photo above to get an idea of how many words will fit in this design. This design is perfect for a short poem or verse. 1. Phrase Above Name (optional) - Examples: On Your Wedding Day; As You Are Married; Happy Anniversary; With Love; etc. 3. Closing Phrase and Your Name(s) (as seen after poem) - Examples: Best of Luck, John; Congratulations and Best Wishes, John & Mary; Love Always, Jordan; etc. 4. Optional Phrase and Date - Examples: On Brian & Jill's Wedding Day, September 20th; 10th Wedding Anniversary - June 1st; etc. There is no need to send us a photo. 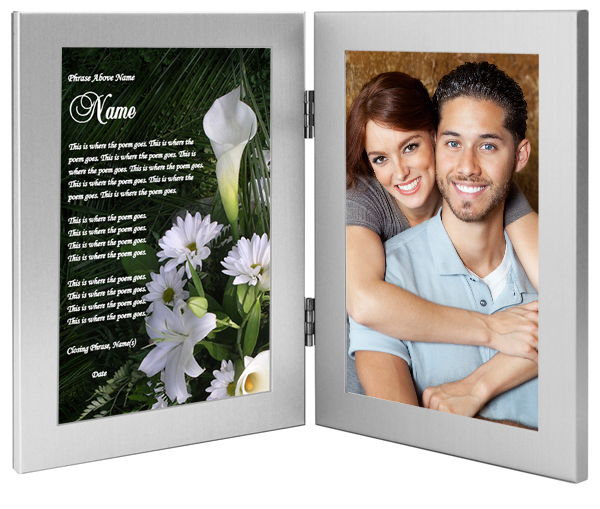 You or the gift recipient can easily add a 4x6 photo after the Poetry Gift arrives.